We know time passes quickly. It's a common conversation among friends and acquaintances, a topic that crosses gender, cultural and generational lines. 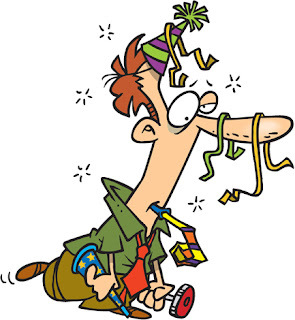 Our young teenage grandson once commented that the years were flying by, leaving me completely dumbfounded. At his age, my life loomed before me. Days seemed long, school terms lagged and summers were lazy. Definitely not the reality now. Society as a whole seems to be fast forwarding through time. 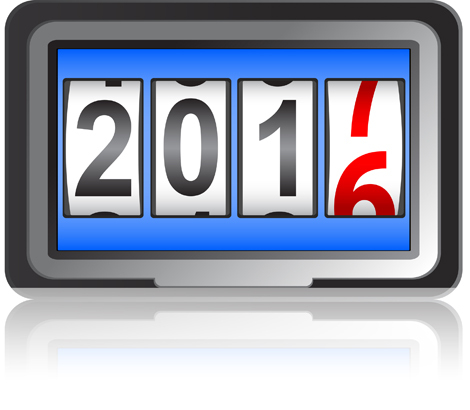 It comes as little surprise then that we find ourselves looking at the end of 2016. Twelve months have flown, less like the sands in an hourglass than like the dervish kicked up in the wake of a speeding dune buggy. 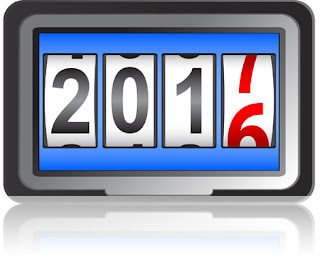 As we look at the final two days of December we find ourselves reflecting on the previous 363. We think of special events that brought us closer to people we love. We remember moments that surprised us and filled our hearts. We are grateful for the beautiful memories, for the blessings that came our way. We think about the people we met and remember those we lost. Sadly there are regrets, too, over foolish fights, silly slights and overlooked opportunities. We might have spoken out of turn. We might have hurt someone who meant the world to us. It all inspires us at this point to think about who we are, who we want to be and what we can do to achieve that as the new year arrives. 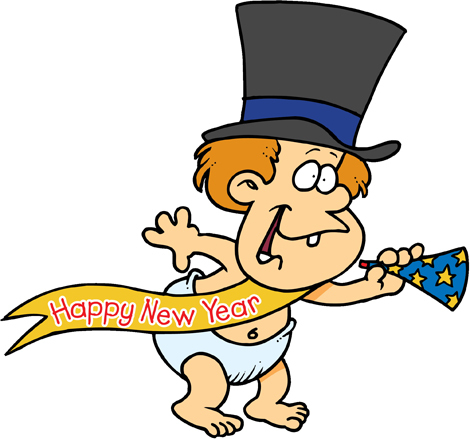 There will be resolutions made, some will succeed, most probably not. But at least we have planted the seed and we can hope that some of the goals we set to make us more the kind of person we want to be will be met in 2017. Before then, however, there's a party to be had. New Year's Eve provides an opportunity to celebrate the promise of tomorrow with all the joy of living in the moment and no regrets over yesteryear. My husband and I have celebrated the occasion many times over now with friends, in a manner that reflected the passing of time. There is always music, noise and laughter. We could count on the consumption of food and drink with the same certainty we could count on the countdown and midnight kisses. It is only the level of these that has changed. We began these celebrations in the late 1970s — a group of 10 friends, with youth and naivety on our side. At that time, our gathering was a house party, a scene that suited us well at the time with our youthful exuberance best contained among close chums. The desire for fun was high, the interest in regret quite the opposite. As we came to our 30s we decided we were civilized enough now to take our show on the road and for several years spent New Year's Eve at a crowded dance. All gussied up and full of fun we enjoyed sharing our circle with a wider group of acquaintances. While thoughts of yesterday and tomorrow were starting to get a little more attention, we didn't dwell on them either. There was far too much to enjoy in the present. Some time later we found ourselves spending Dec. 31 at house parties once again. We had outgrown the noise and frenzy of a larger gathering, complete with over-friendly strangers. Though we could still enjoy a good time, there was no question we were more sedate. There was a contemplative atmosphere to New Year's that hadn't been there before with more time spent on remembrance and reflection. Now, with more years behind us than before us, the majority of those old friends have opted out of anything more than a nice dinner together. 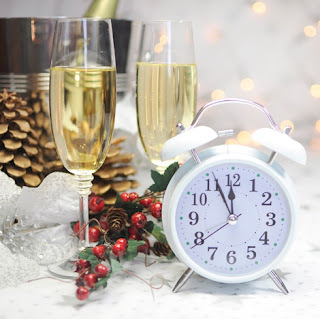 The rest of us, however, while continuing to give the past its due and the future its promises, on this Dec. 31 are ready to put a little more celebration back into the occasion. After dinner we're heading out to a local nightclub to ring in the new year with music, noise and laughter once again. In just a couple of days, we will be gathering with family and friends to celebrate what is unquestionably one of the most beautiful holidays of the year. Though it's a Christian celebration in honour of the birth of Jesus Christ, the spirit of goodwill, peace and joy is a message that transcends cultures, religions and generations. We offer our heartfelt greetings for the season to all we meet, ignorant and uncaring of their backgrounds and their differences. We give to those less fortunate, smile at strangers and open our hearts to extend kindness and generosity to all. 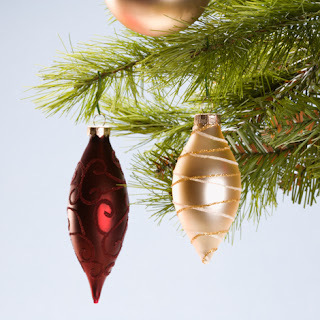 Certainly the mad whirl of Christmas preparations – the shopping, wrapping, baking, etc. – along with the parties to attend, can have us forgetting the important message and sentiment behind the day. But generally, we do a pretty good job of shaking off the stress and spreading the love. Which makes me sad when I think of the petty controversy surrounding the day. Given the ethnic diversity of our societies today there are many who would see the words "Merry Christmas" removed from conversation. The other side then argues that they aren't asking people from other cultures to do the same. Whether Hanukkah or Eid Al-Fitr no one is pressing for an all-inclusive greeting for those holidays. Personally, I do think it's very wrong to ask people to stop saying Merry Christmas. I have many non-Christian friends who aren't offended in the least when I say it, any more than I'm upset if I'm wished a Happy Hanukkah. Nor am I offended, however, by anyone who does prefer one of the generic holiday messages. As long as there are Christians there will be Christmas. And, no matter how we extend a greeting, Christmas is the celebration, one full of so many true and beautiful things, that I can't help thinking it's more important to live the message than worry about how we extend it. I would say shame on anyone offended by hearing Merry Christmas. Yet, I'd be equally disappointed by someone whining because they were wished Season's Greetings. As Mr. Peale so eloquently stated this is the time of year when there is magic in the world. Let's focus on that. Things are getting exciting now. My husband and I were so lucky to have spent last weekend with two of our sweet grandchildren. With Christmas only a week away at that point, the chatter about Santa Claus and all the lovely gifts such perfect little ones are bound to receive, revived the magic in the season for two slightly jaded adults. It set the mood and got the momentum building for this Sunday when our family will gather for the fun, love and joy of being together. Recognizing amidst the whirl of the day the blessings we share and those dear to each person are what makes the season special. With its proximity on the calendar to the end of the year as well, it's often a time to reflect on time's swift passage and the precious moments of the previous months. Without question Christmas is the perfect time for pictures. Between opening gifts, preparing foods and fetching drinks, I'm also sure that my camera is never far away. It focusses on the laden table, moves in close for shots of all the festive food. 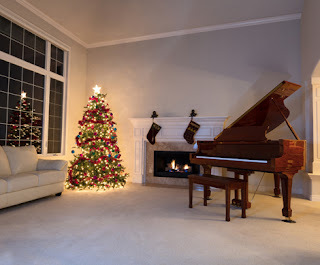 The tree, gifts piled high beneath, and later with paper, bags and bows strewn around, is also a key subject. But my favourite Christmas photo theme is family. I love to catch them in candid moments, especially ones of smiles and laughter. Also, though this is much more difficult to organize, it's the perfect time for some family portraits. Since my kids live in different cities, getting them all together under one roof is a photography opportunity not to be missed. Typically the tree is the nicest spot for this, but there are lots of other ways to capture loved ones and the joy at this time of year. I decided to search out some suggestions for Christmas photo ideas that others have and share them with you here. • Top Tips for Christmas Day Photography This one is a favourite with great ideas and instructions for taking "Christmas Day photos which are truly album worthy". • 100 Festive Photo Ideas from Shutterfly Here are some adorable poses and portraits ideal for Christmas cards, but they might also inspire some thoughts for your Christmas Day family portrait. 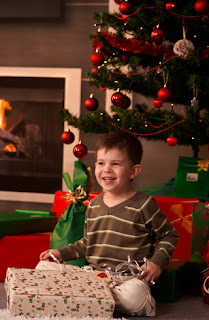 • How to Take Memorable Christmas Day Photos Digital Photo Secrets offers some tips on how to take great pictures without letting the chaos get in the way. 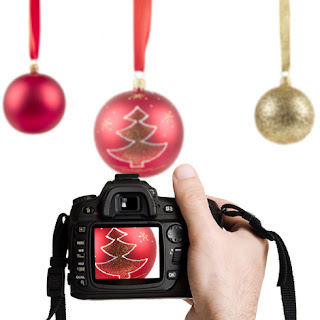 • 16 Photography Tips for Christmas This blog from Digital Photography School has some unique suggestions and a fresh perspective on some standard ideas. • How to Take Better Festive Photos This Christmas MakeUseOf outlines key tips on how to get the best holiday pictures possible. • 16 Tips to Photograph Christmas Morning This one from Click it Up a Notch keeps it simple with straightforward advice on how to take good pictures and a few suggestions on where you might want to focus that camera. When it came to what type of image collection I might share today, my thoughts were full of snow. We live in what is traditionally called the Snowbelt, just enough miles inland from the Great Lakes that the transformation from wonderland to 'where the heck is the land' is a harsh reality. From now until April the potential is there for snowsqualls to swirl around us at regular intervals. Normal routine changes significantly and travel is risky. 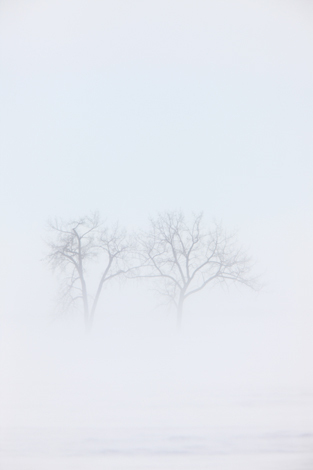 Driving through whiteouts is like a sudden plummet into a milk bottle. We know it's coming, but we're never really prepared. After a bit of a slow start compared to some years, snow began to fall about a week ago, albeit with a festive gentleness. Then yesterday the portals opened above and a deluge of flakes fell while a nasty bitter wind blew them into a frenzy. Life as we know it here pretty much came to a standstill as roads closed, businesses shut down and events were cancelled. Tucked away, we listened as this late autumn blast raged outside. Then, this morning, while preparing for work, a quick glance out a front window revealed to me the beauty of the calm after a storm. A thick coat of snow had reshaped one of our younger maple trees into something more closely resembling a weeping willow. From the road it framed our front door with its Christmas finery, while strange clusters drooped from the roof above. It was the type of winter pattern that fascinates me. It's Mother Nature as Michelangelo. 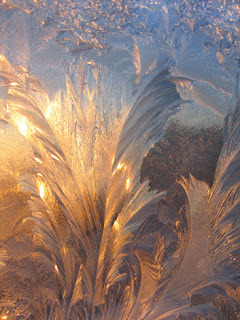 She playfully displays her artwork, with a helping hand from Jack Frost, on windows and on hydro lines. She provides the palette on which animals and people create the abstracts. You don't have to like everything she does, but there's no question that when you look beyond her occasionally intense outbursts, she can give us a winter that's positively stunning. I'm crossing my fingers that she has gotten all of this out of her system for a while. At least until Christmas is behind us. Too many loved ones on too many roads. From icicles to footprints in the snow, here's 80 pictures that offer a closeup look at what remains after Mother Nature and Jack Frost have their fun. At any time of year, we marvel at the splendour of a spectacular sunset or sunrise. 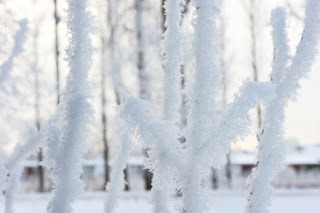 Captured in winter, colours glinting of frost and snow, they're beyond beyond amazing. A gentle snow is falling, laying another layer onto the soft, fluffy blanket covering our sleepy landscape. Nights spent by cosy fireplaces indoors are brightened by the glow of winter white outside. If there was anything that could inspire the Christmas spirit in these final countdown days it's this picturesque wonderland. Trees are glowing, lights are twinkling. Yet, much remains to be done to get ready for the holidays. There are less than two weeks left to finish up the multitude of tasks that are part and parcel of the preparations for the festive season. There are gingerbread houses to be made and cookies to be baked. There are presents to be bought and wrapped. Parents are scurrying, minds full of thoughts, arms full of purchases, as they tick off items from their lengthy lists. Of course, too, with few spare moments in a day, there are long lines to wait in as little ones are anxious for their chance to whisper in Santa's ear. Though Dec. 25 is still a little ways off, the parties and gatherings have already begun. From workmates to friends and extended families, everyone has social events to attend as part of the holiday celebrations. Such a wonderful, crazy time of year. One of things I've done to lighten the load a bit, and to put my money to better use, is replace the annual Christmas card with an e-Greeting. The cash I save is donated to charity and the message delivered is no less heartfelt. 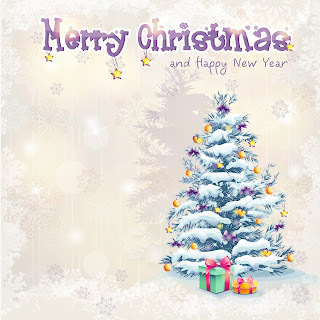 With the wonderful images you can find online to decorate your greeting, it's sure to be attractive and suitable for the season. If you think you're busy, imagine how hectic it is at the North Pole these days. Adorable elves would add just a touch of fun to your mailings. Nothing expresses the joy of giving and the magic of the season like jolly old St. Nicholas. Santa's reindeer always bring delight to the faces of youngsters and truly convey the wonder of imagination. 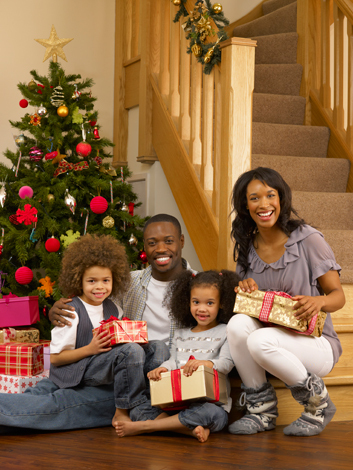 The beautifully decorated trees that warm our homes during the holiday season represent life. As said, these are just a few examples to be found at AnimationFactory Besides animations the website also offers video backgrounds, sounds and power clipart. Wonderful variety for this wondrous time of year. Today there was a little surprise waiting for me when I logged into Facebook for the first time. Besides the usual "Good morning", the social media site had prepared a short video reviewing my photos, posts and likes for the past year. It was a rather pleasant start to the day, really — taking a look back at some much-loved faces and memories of good times. Since the presentation wasn't something I had put together myself, it was, of course, missing a few people who should have most definitely been included. As well, there were some Throwback Thursday pictures that had nothing to do with the way my 2016 looked. But for a retrospective compiled from an outside perspective it was decent enough. Though looking back was the focus of this compilation, however, it also served as a reminder of what's to come. Another new year looms. Hard to believe, with all the Christmas rush and fun still on its way, that in a few short weeks we will be entering 2017. For those of us who sang along in 1974 with Paul McCartney's, "No one ever left alive in nineteen hundred and eighty-five" while thinking how how far into the future that seemed, the reality that we're almost two decades in to the 21st Century is a bit of a stunner. It's all too true though. 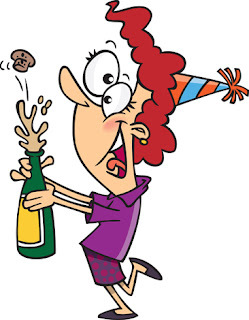 Within a heartbeat of picking up the detritus of the Christmas morning unwrapping frenzy, of over-stuffing ourselves on turkey and all the trimmings, we will by ringing in the new year with a countdown, confetti and champagne. Around our house the evening of Dec. 31 is much quieter than it used to be, a fact that's accompanied by some fixed feelings for my guy and me. For decades we partied with a group of friends, with each of us taking a turn at hosting duties. They were indeed, in the early days, crazy fun. We couldn't have imagined spending it any other way than with these dear old friends. Life and circumstances, however, change us and the commonalities and interests acquaintances share, that once made a particular social circle inviting and exciting, might become less so. In our case, while affection remains, the way we and our friends enjoy passing leisure time has come to differ significantly. Last year, after 40 years of partying together we went our separate ways. No regrets, just a clear recognition that New Year's Eve is a celebration and no one should spend it wishing they were doing something else. After a quiet dinner with this group then, my guy and I will be heading out to hear our son's band at a nightclub, while others who just head home. There are people who will be ringing in 2017 among strangers, in places where the music is live and the celebration loud. There will be others who will go out for dinner or to a house party with an intimate circle of friends. And there will be those who opt for nothing more than a quiet evening with their significant other. No matter what, where or how, in just a few short weeks we will say goodbye to a year that has been — well, interesting, and welcome a new one with hope and faith in our hearts. I love the warmth a Christmas tree brings to a home. It's been mentioned, however, in a previous blog how much I abhor the task of decorating the tree each year. It's a comedy of errors each and every time, with tangled lights, unlit strings and broken ornaments. At 5'2" I'm always trying to find the best approach to the top, without exercising the common sense that should come with age. The most entertaining was when I recruited a young friend to hold on to the one end of the lights while I deftly climbed atop a swivelling bar stool. No need to go into any further details. Suffice it to say, the landing wasn't pretty. Little wonder then, given the trials and tribulations, that I long to get that perfect picture when the job is done. For some time this proved to be as challenging as the job that preceded it. The impact was lost if the lights were on, while trying to get a decent picture in darkness proved extremely challenging since I didn't't own a tripod. My beautiful tree and its softly glowing lights were not surprisingly transformed into a blurry mass of blah and white. Again, my common sense seemed to have taken a walk, as I was only too well aware that holding the camera steady enough given the slow shutter speed was almost a guarantee of failure, yet my rebellious streak continued to try. Then, one Christmas a few years ago, I realized that if I set the camera on the high top eating counter at the kitchen island I could shoot the tree through the doorway. The end result was a vast improvement, though that tripod definitely remains on that wish list for retirement when I intend to pursue my love of photography with full commitment. Five simple but effective suggestions, as well as some more creative ideas to help you preserve this year's Christmas tree for posterity. More of the above with a few new tips, including the concept of what including people in the shot can do for your picture. This offers a more detailed description and advice for taking photos of a subject with the Christmas tree in the background. Yes, individuality is key to what I'm going to chat about today. However, let me begin first by saying that the images I am going to highlight at the end of this missive are photos of real paintings from the impressive Dover Publications collection. For now, though, I ask your indulgence as I outline the rationale and thoughts that led to this choice. I am the proud mother of four amazing children. Two boys, two girls, separated in total by 10 years they are all adults now, living their lives as fate or co-incidence ordained, depending on how you see it. As they leave behind, with all of the momentum of a speeding locomotive, their 20s and 30s, it is with an eye to the present, to the goals, dreams and passions that excite them now. Four children, four very, very unique personalities formed in part by family placement, experiences and whatever particular genetics came their way. 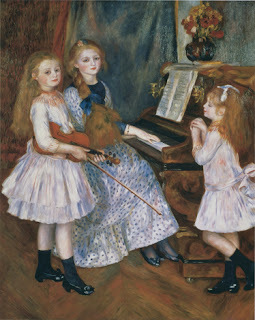 They are to me unique masterpieces — by equally unique artists. If you could paint a personality, my eldest child, our son would best be done justice by the analytical discipline of Paul Cézanne. He is goal-oriented, deciding at a very early age that education was important and setting out to achieve his teaching degree. He takes his work and volunteer duties seriously, but has a wonderfully droll sense of humour that makes time in his company a fun thing. His circle of friends is large, encompassing people who share his myriad of interests. His loyalty to them, to his family and in areas of the heart is indisputable. The responsibilities he takes on often weigh a little heavily on his shoulders. His first baby sister has a nurturing spirit and an intense love of nature and life's simple things. She was a little mother to her younger sister and brother and a gentle caregiver if illness brought any of us down. The baby of the family for almost seven years, she possesses the seriousness of a role model for younger siblings as well as the lighthearted view of the family baby. Sweet and shy, she developed a mother tiger's fierceness when challenges came to her or any of her loved ones. Over the years she has developed admirable strength and independence. It's balanced by a smile that brightens a room, a perpetual giggle and a love for a good party. 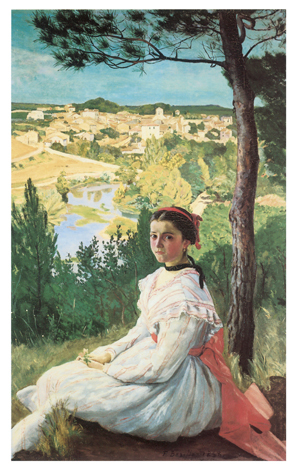 She is a Monet — light, life and love. Conversely, it is the abstract, spirited work of Picasso that instantly comes to mind when thinking of an artistic style to define our younger daughter. From the day she was born there was a sense of independence, not based in strength as much as in the fact that she never sees the world the same way as anyone else. She is an eternal optimist, playful, open-minded and kind-hearted. She finds the beauty in every situation and every person. Given a task for which she is passionate she attacks it with verve, but has no difficulty in running from those she dislikes. There is a charming flakiness, a perpetual child within her that disarms you all the while you are shaking your head at something she has said or done. Finally, our youngest. Colourful and charismatic, a musician of modest success, he is our Kandinsky. The guitar is as much a part of day-to-day routine as eating. The world he has created for himself takes shape from the music in his life — the places he has been, the people he has met, the pleasure it has brought him. From the start he charmed his way into the hearts of his family and strangers alike. He has been the love and the bane of his siblings' lives, using wit to bewitch and tease. He is typically the centre of attention, even on the rare occasions he is being quiet and serious. When something interests him he attacks it with fervency — not always, admittedly, to the best results. Thanksgiving is still a few days away but there's no question it's already beginning to look a lot like Christmas. Storefronts and interiors are decorated, shelves are stocked in anticipation of the Black Friday hordes. At home, people took advantage of a warm fall to get the exterior of their houses adorned with festive greenery and lights. Then fully in the spirit, they shifted their energy indoors. Snowmen and santas took their places. Garlands graced mantels and staircases. Furniture was shuffled and the tree erected in pride of place. The efforts bring warmth to every room, an invitation for family to gather and share life, love and laughter together. All of this takes time, of course. Busy, busy describes this season, as weeks are spent in various aspects of the holiday preparations. Besides checking off the list and decking the hall, there is baking to do and gifts to be wrapped. 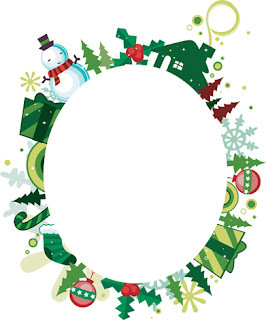 Now, too, people will begin addressing their Christmas cards. Some opt for family pictures — a good way to make faces, seen infrequently, familiar again. 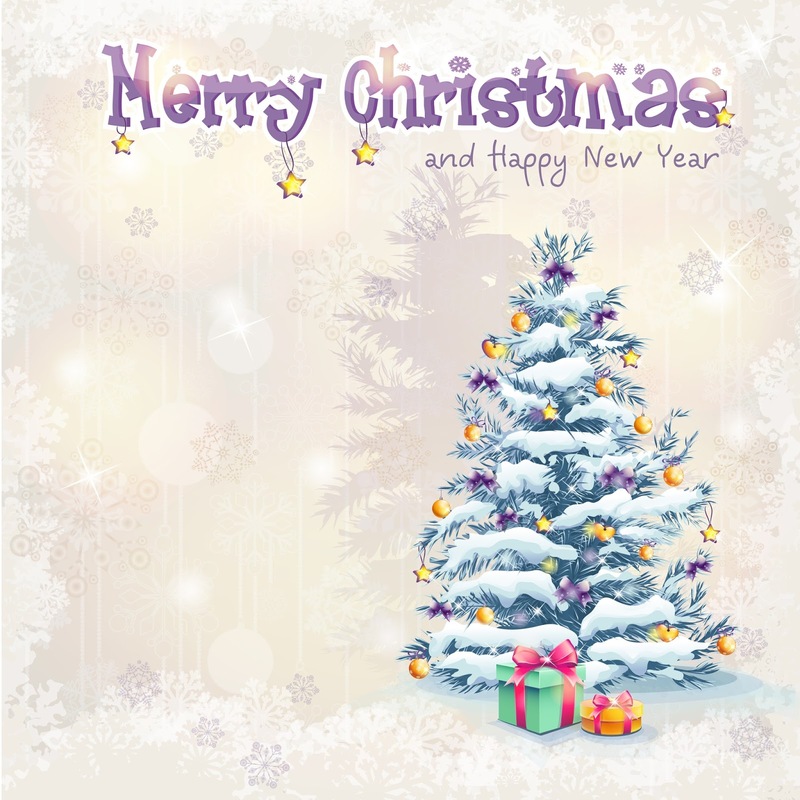 Others send traditional messages of peace and goodwill in cards graced by an image of pastoral winter landscapes, smiling St. Nicks or the gentle nativity scene. The list can be long, including the loved ones we cherish right on down to distant acquaintances — anyone to whom we wish to reach out with a message of cheer for the holidays. My husband comes from a large family and for many a night during decades of Christmas seasons, I sat at the table addressing and stamping a massive number of cards. Of all the Christmas tasks it was the one that brought me the least enjoyment and was the only one completed with a perfunctory, I-could-care-less attitude. Even receiving them didn't bring me any particular pleasure. Nice, but nothing I couldn't live without. For me it really all felt like a colossal waste of money at a time of year when that could be better directed elsewhere. 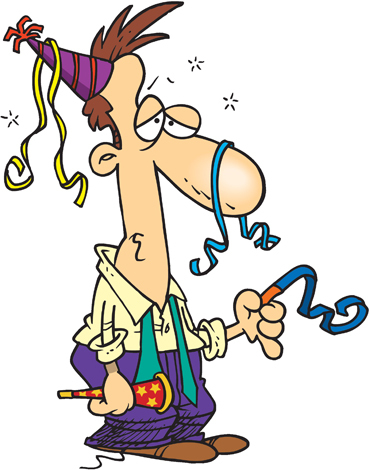 The problem though is that I really did want to extend greetings to those near and dear or faraway yet familiar. How to resolve those conflicting feelings was something I wrestled with every November. And then inspiration came in the form of an eGreeting from my sister and her husband. This, they explained, was in place of their Christmas card. The money saved on stamps would be directed instead to charity. We latched on to the idea with all the fervour of elves at deadline on Christmas Eve and have been giving money to those in need rather than Canada Post ever since, while still conveying our wishes for a joyous holiday season to everyone on our list. 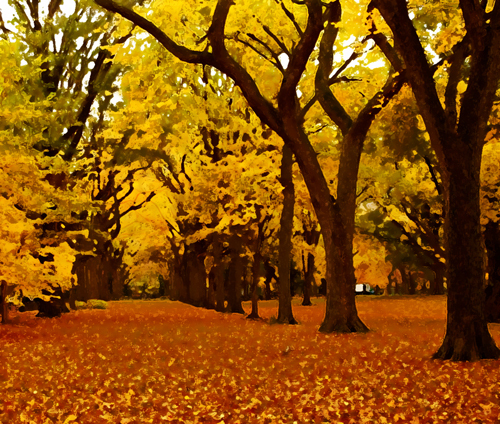 Fall is a time of cozy sweaters, mulled wine, and long walks in a park. It's also, however, the time to get back from summer vacations and start your business. 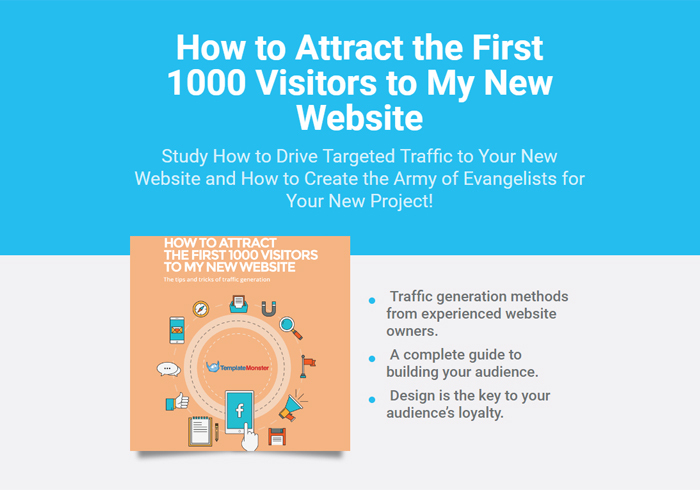 Many emerging startups and small businesses only need websites to attract the right audience. Websites today aren't just places where people can post thoughts and share photos. Most of these things people do on social media. For rising and growing business, a website is a spot to sell products or services, connect with customers and make money. This post offers a collection of the best HTML5 templates issued this autumn. It means these themes are the freshest creations and include the greatest trends in website design for 2016. HTML is a traditional language that has been used for a long time for structuring info on the Web and creating websites and pages. HTML5 raised the level of website development higher. It allows web developers to create top-notch responsive websites faster and with a cleaner code. Additional functionality like jQuery and Bootstrap adds zest to the themes. 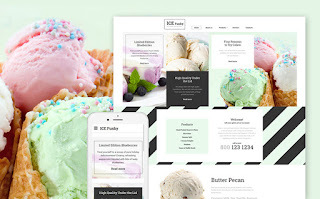 Pre-made themes is a blessing for modern businesses. They allow creating a website in hours without spending resources to order a design from a web studio. When you get a ready website theme from a trusted seller, you can be sure that you get the same website functionality as you could get from a web studio. Ready-made themes are based on the same coding principles as those used for custom made designs. Developers of both use the same Bootstrap framework, the same HTML5 language and other technologies. So why spend thousands for custom design when you can purchase a theme for less them $150? Creating a custom design can weeks or even months to complete. It also takes effort to get things done the way you need them to be done. Ready-made templates save your nerves and time. You can work on it right after you buy it. Add your photos, texts and product info - and the website is ready to go online. Effortless customization is another benefit of the ready-made theme. You alone decide what content you add to the website and how it should look. You have all the functionality to add your content to the theme or to make some adjustments according to your needs. Everything can be done quickly. You might need some help with more complicated structure adjustments or when you need to make some serious tweaking to the layout. 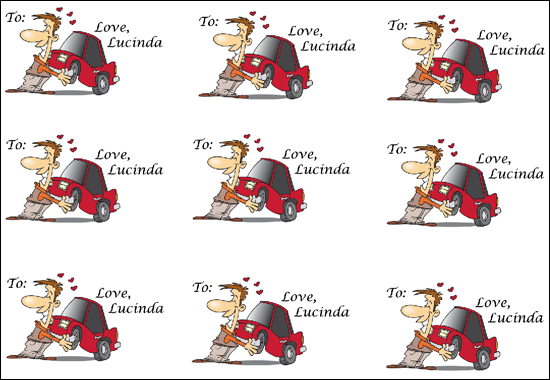 And it’s one of the best things about ready-made templates: you don’t have to pay extra dollars for those manipulations. Modern sellers offer free tech support as a bonus to their templates, like in case of the TemplateMonster.com HTML5 themes. You can use their help 24/7 and don’t have to pay a penny for that. This multipurpose business theme is a great fit for multipage as well as for single-page websites. 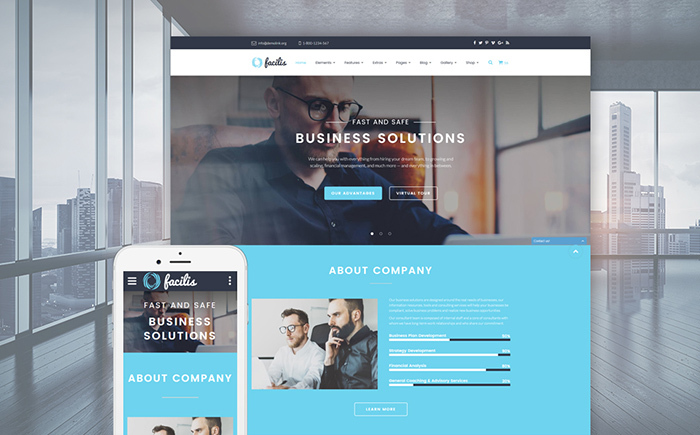 It includes 5 niche templates that can be used for creating websites for almost any business field. With its handy bonus - Novi Builder - even a non-techie can create a powerful website. 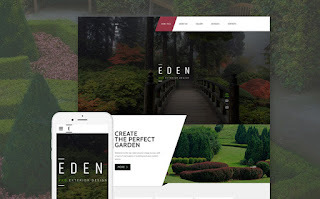 An amazing theme for garden and landscape design firms. 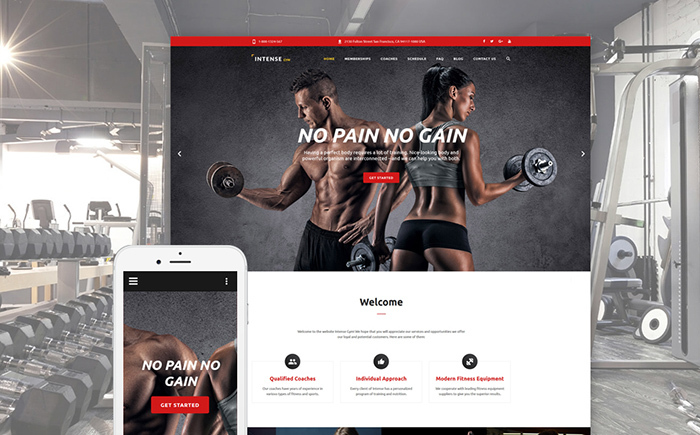 It captures users' attention in full with its huge mystic-looking slider that can be used for showcasing successful projects or posting promos. All PSD-files are included in the package, so you don't need to spend time for searching visual elements for your website. 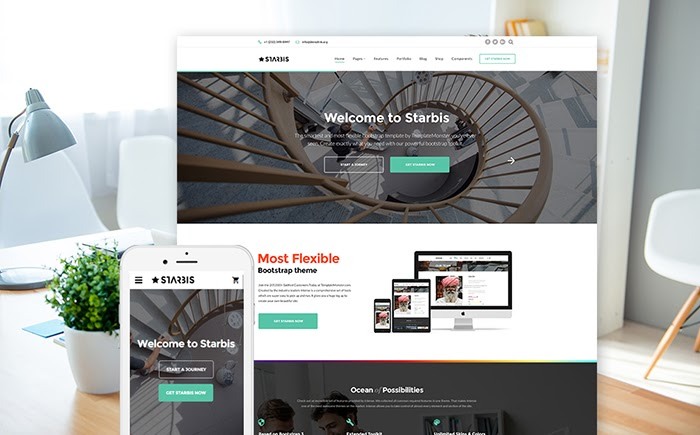 This theme has all the functionality and design you could wish for. 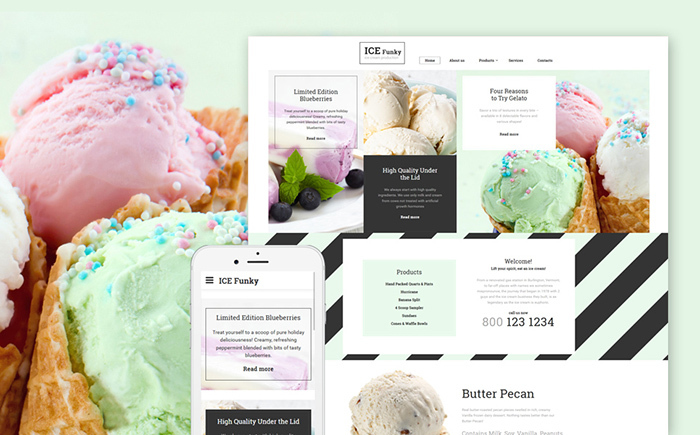 Ten layouts, various header and footer styles, as well as multiple blog and eCommerce shop templates. All this allows anyone to adjust the theme to any kind of website and business niche. Advanced functionality helps customizing Intense quickly with minimum efforts. A stylish HTML5 theme with Flat-style design. It includes multiple header and footer variations for any taste. Over 50 pre-made pages save you time from creating ones for each category or purpose you might have. Various Gallery types, blog designs, color palettes and others allow you to create the best website ever. 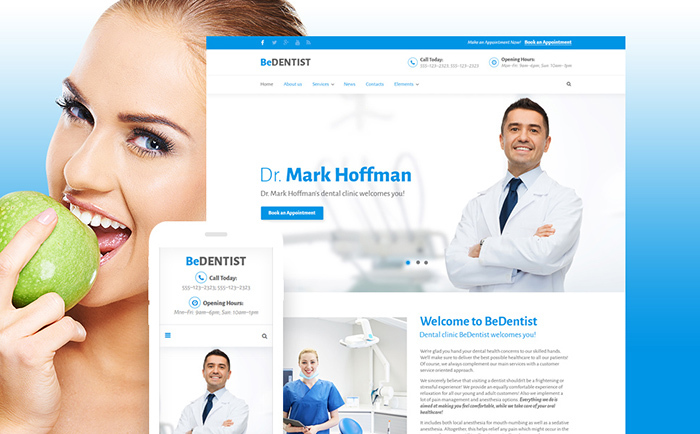 Another multipurpose theme with an impressive UI kit that allows creating a website not only for doctor’s services. Anyone who dreams of clean layout and powerful functionality should opt for this HTML template. 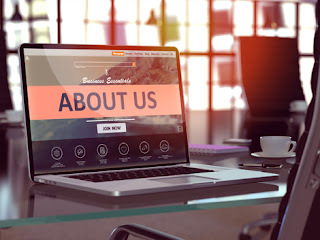 Header and footer designs along with various blog page designs help you make a one-of-a-kind website for your business. 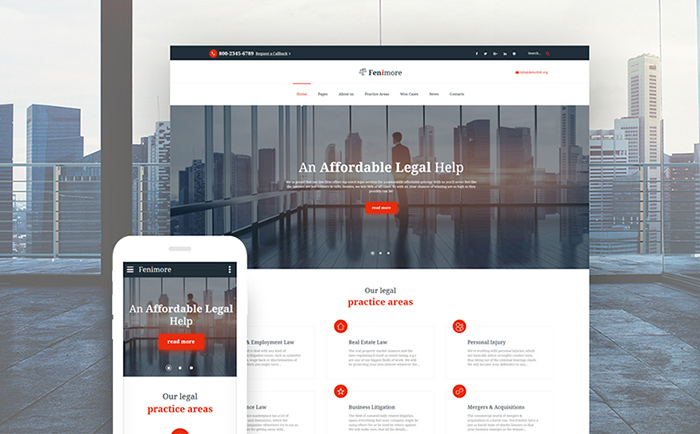 Elegant template that will be a perfect fit for a business or finance services website. Along with clean code and versatile functions, it offers multiple gallery types (masonry, grid etc.) that will help to turn this theme into a cool visuals-based website. eCommerce page addition allows creating a cool online store. This HTML template incorporates sophisticated design with full-background photo. It is imagery-focused and has all the functionality a photographer’s website may need. 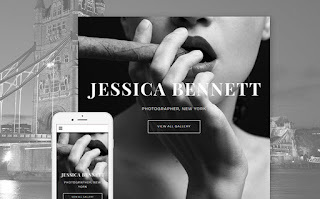 Responsive and cross-browser, this theme is optimized to load fast no matter how many images you store on it. 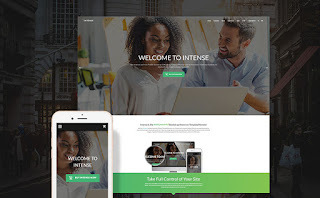 This template is a part of multipurpose Intense themes. It includes 10 layouts that fit various business niches, nine additional skins and over 200 HTML pages for any purpose. Full-stacked UI kit helps adjusting this template for various design solutions. A well-documented template for rental services website includes all PSD files you can customise to make your website functional and attractive. Font icons are fully-responsive as the rest of the template elements. It ensures smooth work of your website across all devices and browsers. 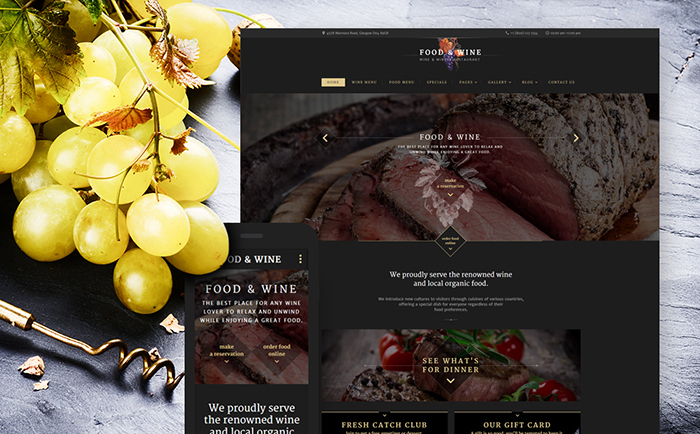 This multipurpose theme is imagery-based which makes it a great fit for café, restaurant, catering and other food-related websites. 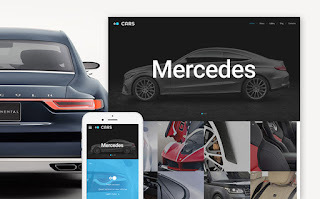 Mouthwatering images, 13 blog layouts and a huge set of UI elements and blocks. Still nibbling at this offer? 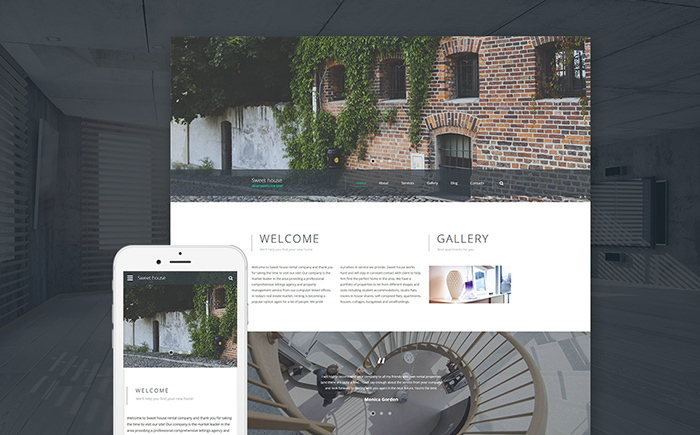 Get this theme with 35+ premade pages and gallery layouts and create your website today. If you’re looking for a template in minimalist style - this one is right for you. Clean design with hero header will be a good base from which to create a law firm or a business website. The template includes more than 30 HTML5 pages to save you from creating new ones. 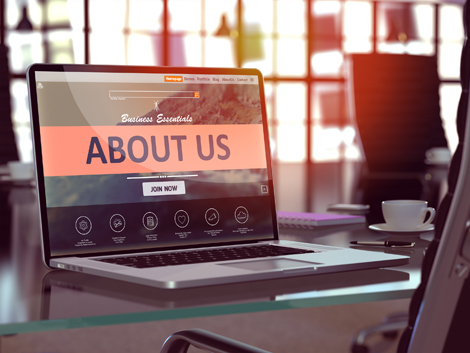 Various header and footer layouts help make a website that will stand out from the crowd. 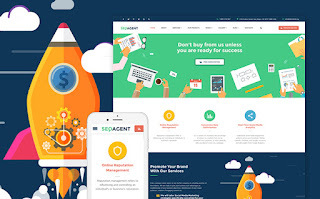 This bright website theme is made to attract passionate people who aim to make the world a better place. 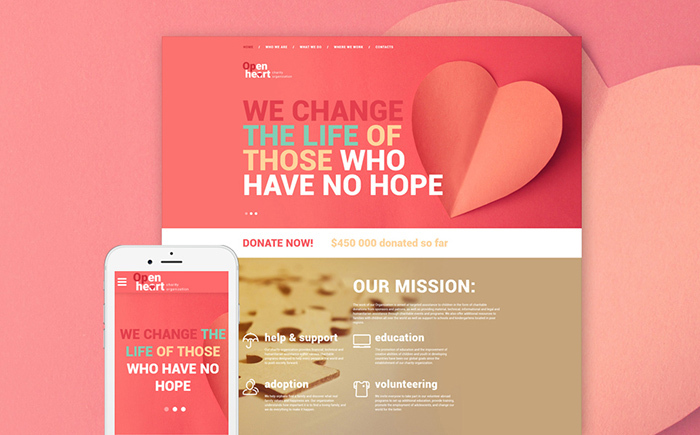 It includes all the functionality and design perks you might need to create a charity website. Slider allows showing all events and news about your mission. Mega menu, font icons and other tiny elements will make the website very user-friendly. 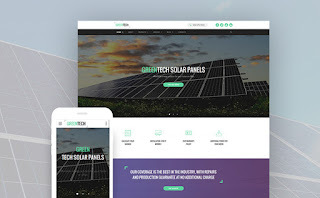 A cool multi-purpose theme that allows creating a technology, science or any other type of website. Rich UI kit and 20+ page templates help in creating a nice and functional website for presenting your services online. Cool contact form and eCommerce page will help you to gather orders and contact your customers fast. This website theme looks as sweet as the products you can showcase on it. Grid layout allows creating an imagery-focused website that will attract all the attention to the products. With its sticky menu users will browse your website with ease. PSD files and clean code make working with this theme effortless. This templates includes a full-screen background with slider that attracts users. Parallax effect adds depth and movement to it. With additional elements - like a progress bar, sticky menu, contact form etc. 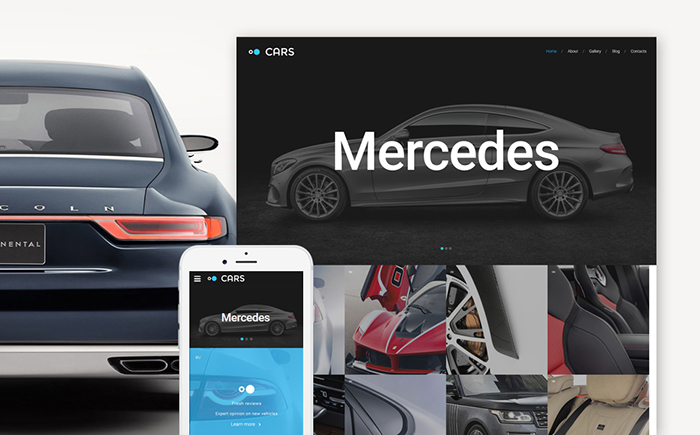 - this theme becomes a great choice for a functional website for car firm. That’s all for now. Don’t hesitate and choose a theme for your cool website. 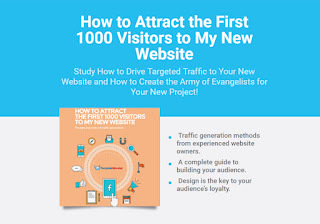 As a bonus we offer you a cool free e-book that will show you how to get your first 1000 of visitors right after the website launch. The bargain hunters are getting very excited. Black Friday is days away and in the time leading up to it, the sales begin. As folks take advantage of this to get that Christmas shopping under way or over with, retail outlets, malls, big box stores and downtown businesses are filled to bursting with zealous buyers jostling others and grabbing deals. I love this time of year. Searching for those perfect gifts for my loved ones is pure enjoyment on its own. But since that typically involves an outing with a friend, highlighted by a break or two for a nice glass of wine (during which we pretend the reason for this was all about going over our lists) it speaks to a lot of my favourite things. What is different about me, though, is that I generally don't search out sales. I don't wait for Black Friday or any specials for that matter. I'm an early shopper, always have been and always will be. So if something catches my eye, provided it's within reason, I get it. Which means, that as we head into a week known for its good buys, I'm ready to say hello to getting it all wrapped up. And this is where the tide turns. 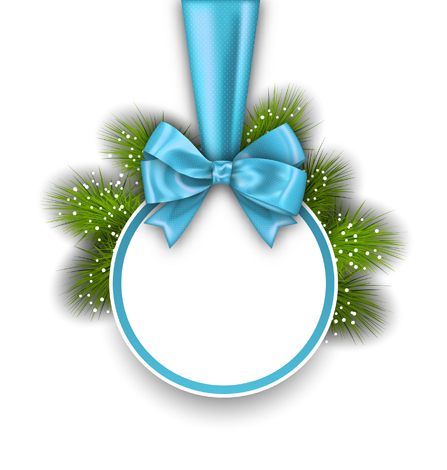 I abhor the task of making my purchases festive with paper, ribbons and bows. I find it tediously time consuming, at a point in the season when I really have little of that to spare. And yet, a few years ago while looking for a way to add a personal touch, I decided to make the job even more labour intensive and create gift tags in Photoshop. 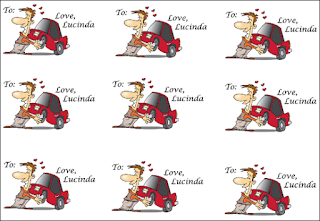 Rather than pretty little labels on which I would write the recipients' names, however, the idea came to me that I could use an image to represent them. Well acquainted with the variety of graphics to be found on websites like iCLIPART.com I knew that finding ones to suit everybody would be beyond easy. As the project did put an aumusing twist on our Christmas morning, and, with the festive season set to kick into high gear for another year, I thought sharing a how-to might be fun. There could be no better way to start this project than choosing an image that exemplifies my sweetie. 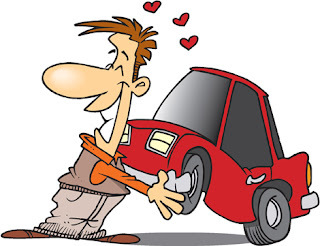 An avid car buff who rarely takes himself, or anyone else for that matter, too seriously, I did a little search in the Cartoon category and found the perfect image #164927, literally in seconds. 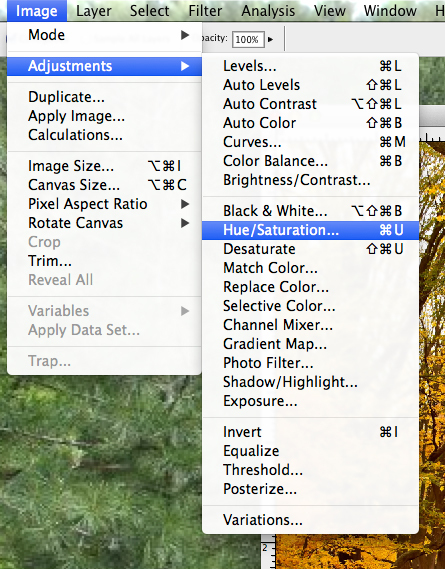 First, open a new canvas in Photoshop by selecting File>New, then set the dimensions to 11" wide by 8.5" long. Next, open the (File>Open) and drag it onto the document. To adjust the size, go under Edit to Transform>Scale and holding the Shift key move in the corner, then hit Return. (Sizing them will be a bit of trial and error, but the ultimate goal is to have three rows of tags in each direction on the document, with space for trimming. To add your message, and/or name, switch to the Text tool, then type, Move it where you want it on the tag. And that's it. 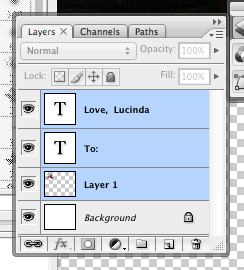 If you want several of the same images, move the cursor to the box with the Layers, Channels and Path. 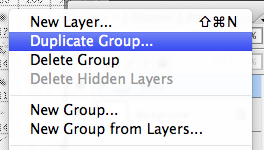 Hold the Ctrl key (Windows) or Command key (Mac) and highlight each of the layers. 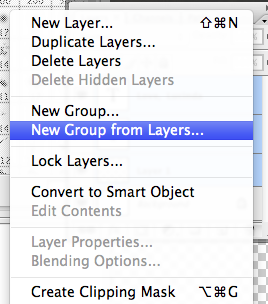 Click on the top right corner to select Make New Group from Layers, then Duplicate Group. Complete this process as many times as you need. If you're not sure which one you've copied, hide the others in the Group box. One of the very best things about iPHOTOS.com is the incredible variety and diversity of the content on the website. Not only does it boast professional, print-quality photos, high-resolution clipart and HD video, but with an inventory of over five million images the selection offers something for every need and taste. However, as much as photograph can provide the perfect visual detail to a project, there are times when it's necessary or just plain fun to play with them a bit. For example you could take that great picture and turn it into a reasonable facsimile of a watercolour. With image editing software this is, of course, quite easy to achieve. While the process might not make the art world sit up and take notice, the results are satisfactory for most purposes and come without the expense of hiring an artist. I actually undertook this project as a gift for my husband a couple of years ago. When his parents made the decision to sell the family farm he was devastated. Just in his teens he had neither the means nor the maturity to set himself up as a landowner. Even to this day, when we pass by it on our many trips hither and yon, he looks toward the house with slight melancholy. It dawned on me that while I couldn't give him the whole package, what a nice gift it would be to bring a little piece of his past into our home. A painting of the house I decided would look perfect over the fireplace in the room he was currently renovating at our place. Unable, however, to find an artist whom I trusted and was affordable, I opted for Plan B. My photographer daughter took the picture and I took on the transformation to watercolour with Photoshop. 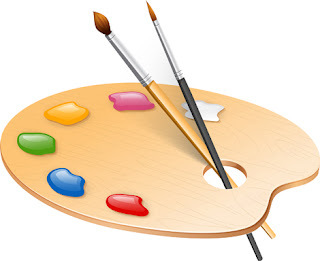 Author Seth Godin has said that art is not in the eye of the beholder, but in the soul of the artist. Well the 'artist' here has shown a basic understand of Photoshop over the years. Yet, when I set onto the the aforementioned project it was with a desire to learn through experimentation. And I'm happy to say that the results were good enough, though I hadn't realized the house and grounds were considerably different than those in his memories. I have since found an artist who can take on the more ambitious alteration required to bring his past to life. The key point, though, was that it was fun to take an image and see what I could do with it using some expertise and a lot of trial and error. I enjoyed the project so much I've decided to give it one more try here today. The first step, obviously, was to select a photo that would look great as a watercolour. I love this gorgeous shot of autumn in New York's Central Park (#296795), one of the most popular autumn downloads from iPHOTOS.com. After opening the image in Photoshop the size can be changed to whatever specific requirements are. My first step then was to brighten the overall picture and intensify the colours just a tad by selecting Image>Adjustments>Hue/Saturation, and changing the settings to -3 for Hue, 2 for Saturation and 1 for Lightness. 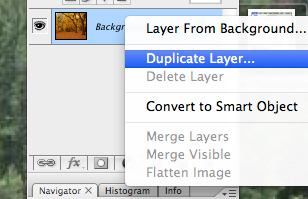 Next I renamed the background layer to original then right clicked and created a duplicate copy. With this highlighted I chose Filter>Artistic>Dry Brush. The settings used were Brush Size, 3; Brush Detail 2 and Texture 1. Play with these to get the effect you like. Then change the Blend Mode to Screen. Highlight the original layer and select Filter>Artistic>Cutout. For this purpose I set the Humber of Levels to 7, the Edge Simplicity, 3 and the Edge Fidelity, 2. Again, however, you will want to play with the setting to get the desired results. Choose Soft Light for the Blend Mode and you're done. Here's my work of art.